The field of strength and conditioning is always evolving and the present time is no different. At one point in time athletes were all training on machines using H.I.T. principles to get stronger all while running long distances to improve their conditioning. There was a time when there was no such thing as a foam roller and tissue quality was a non-existent topic. Clearly, the field is constantly changing. This happens for a couple reasons. For starters, strength and conditioning is a relatively young profession. 30 years ago most colleges and professional sports teams didn’t even have a single strength coach. Fast forward to today most all Division I colleges and professional sports teams have numerous strength coaches on staff. As a result, there are tons of opportunities out there for strength and conditioning coaches. There are hundreds of colleges and professional sport teams in the United States, Canada, Europe, and other countries that are employing strength coaches at various levels. The military has started to employ strength coaches. The private sector is now booming, with facilities trying to mimic the success of facilities like Athletes Performance, Cressey Performance and Mike Boyle Strength & Conditioning. However, there is one major issue. Even with all these new opportunities and a booming industry, there are WAY too many applicants for not nearly enough jobs. I know of a strength coach at a major university that had over 400 applicants for an entry level assistant strength coach position – and the job was never posted, the applicants heard through word of mouth about the opening. So what would be my advice for young strength coaches? Start thinking outside the box. First, do some research on the some of the best strength coaches out there. Personally, I was lucky having Michael Boyle and his facility Mike Boyle Strength & Conditioning nearby. Once you find those coaches, connect with them, intern/volunteer your time if you can and learn as much as possible. Second, read everything you can get your hands on. Continuing education is huge. Go to seminars and conferences and learn everything you can. But don’t stop there. 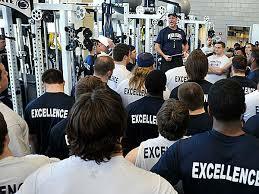 Introduce yourself to every strength coach that you can. Make the seminar a learning experience and a chance to network. Third, starting creating jobs in the situation that you are currently in. I can almost guarantee there are opportunities in your area if you are willing to seek them out. The first places to look are at the high school/Division III level. 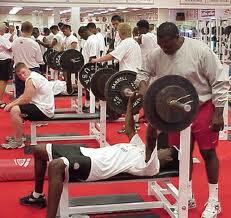 It is becoming more and more common to see high schools/D-3 schools that have weight rooms yet no formal strength coach. Set up an interview with the Athletic Director and see if there are any opportunities to train some of the schools teams. Take it a step further and set up meetings with the sport coaches and see if you can start training some their teams. Chances are this type of job isn’t going to make you a millionaire but you’ll be in a weight room, on the floor, actually coaching athletes. Time on the floor actually coaching is always valuable experience no matter how much financial gain there is. Plus, having a lot of time off in the summer would afford you the opportunity to get out there and meet some more college strength coaches and increase your network and knowledge. Additionally, there are jobs posted at a Division III school looking for staff in the school fitness center. 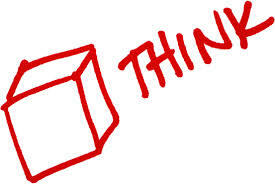 Again, start thinking outside the box. Take the job and then offer to start training some of the teams on campus. Yes, you’ll probably only be making $8-10 an hour, but you are out there coaching. And the best thing about these two different opportunities is that you are the head strength coach, you design the program, and you get to learn every single day by being in the ‘trenches’. Finally, create a niche for yourself in your current opportunity, even if you are only an intern/volunteer. Can you be the ‘return to play’ or rehab guy? Sports nutrition? GPS? HRV? FMS specialist? Massage therapy/recovery/regeneration? If you bring something to the table, something that no one else can do on staff, all of a sudden you add something that may help to create a position on staff or even someone else’s staff. Any of these niches make your application stand out in a long line of applicants. Moral of the story is this; no matter how much complaining you here about the lack of openings compared to the amount of applicants, there are opportunities out there for young strength coaches if they are willing to be creative and create their own jobs. The high school and Division III level is still largely untapped. Get in front of groups, start coaching and do a great job – when your great at what you do people will find a way to keep you around.